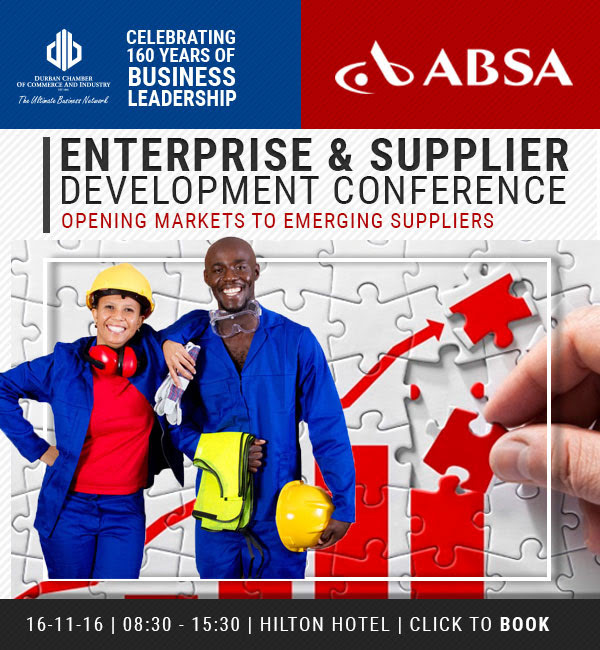 The Durban Chamber of Commerce & Industry in partnership with Absa Enterprise & Supplier Development in its continuous effort to support the development and growth of small and medium enterprises will be hosting the Enterprise & Supplier Development Conference on 16 November 2016 at the Hilton Hotel Durban, themed “Opening Markets to Emerging Suppliers”. 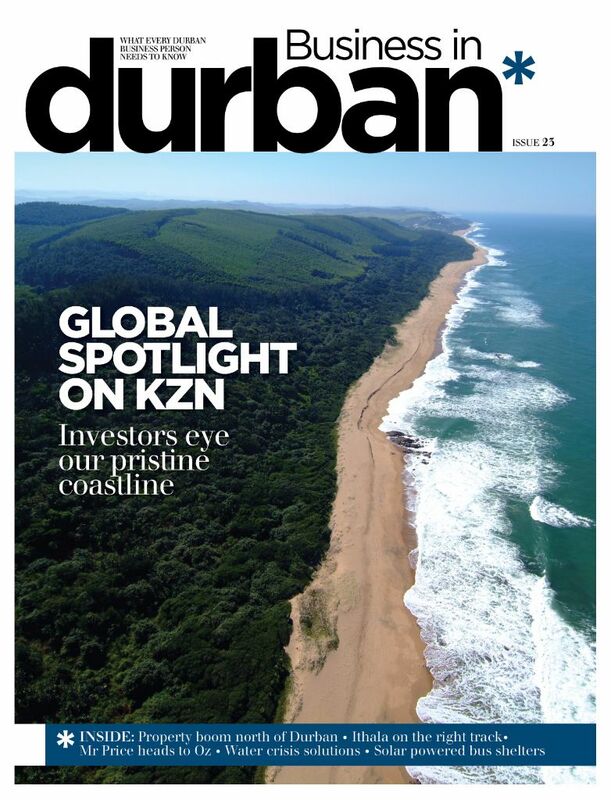 Small and medium sized businesses are still struggling to access markets while big business on the other hand are struggling to find verified, capacitated and technically savvy Black-owned businesses to procure from. The conference seeks to bridge this gap by bringing together stakeholders involved in SMME development to highlight and disseminate innovative and cutting edge experiences on ESD implementation, engage and debate issues that affect market access for SMMEs, profile success stories and promote market linkages between large and small businesses. The conference will also recognise companies that have excelled in the B-BBEE implementation. If you are a small or medium size company that has been in business for at least two years and are looking for procurement opportunities from large corporates, this conference is for you. Large companies that have opportunities for small and medium businesses have been invited to showcase these opportunities, share best practice and engage with potential suppliers. They will also be allocated a table for exhibition and one-to-one consultation with yourselves.